If an airbrushed look is what you crave, then the bareMinerals Illuminating Mineral Veil Finishing Powder is the ideal finishing product. The lightweight, soft-focus finish feels airy and comfortable on the skin, working to disguise fine lines and pores for a flawless finish every day. The soft airbrushed effect gives you a pearly, ethereal glow that looks amazing in photographs, and creates a youthful look. 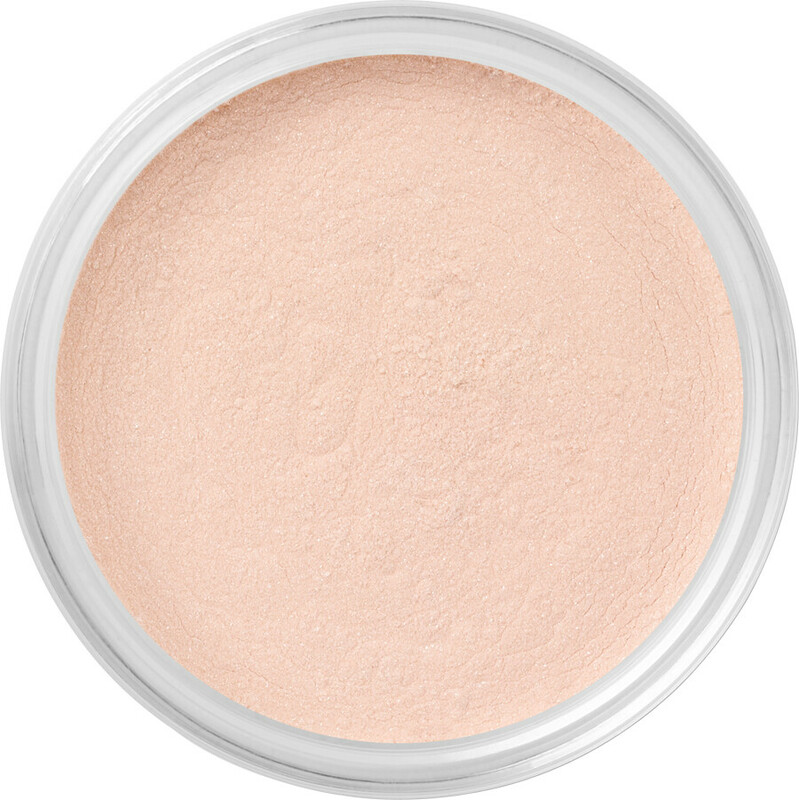 As it is completely sheer, the bareMinerals Illuminating Mineral Veil can be used by all skin tones. Buff onto bare skin for a fresh and light finish, or on top of your bareMinerals foundation for a perfected complexion. For oily skin, apply underneath your foundation to keep skin looking matte and beautiful. Free from preservatives, waxes, talc and binders. 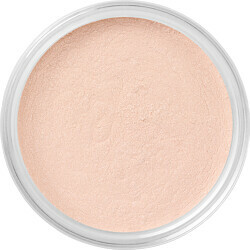 bareMinerals Illuminating Mineral Veil Finishing Powder 9g is rated 4.9 out of 5 by 10. Rated 5 out of 5 by gwolton from The powder of surprise. Some years ago I had ordered Illuminating Mineral Veil by mistake thinking that it would be the Bare Mineral I usually had. However, it turned out to be something very special indeed. The powder has just the hint of a sparkle which does 'illuminate' the complexion to give one both a healthy vibrancy during the day or a seductive allure in the evening. It was an unexpected surprise and pleasure but like so many good things I fear that it will be withdrawn from sale to leave me bereft of a rare treasure. Rated 5 out of 5 by Kittybelle from Ethereal Glow I bought this to try with the new BarePro foundation as it was just so terribly matte. It did help but I've given up on that no-good foundation and gone back to the BM Original foundation instead and this veil still works with it. I love the glow it gives from just a light dusting. Heavier application works as a great highlighter. I use the original mineral veil under foundation to soak up the oil, Stroke of Light under eyes and on a couple of dark patches I have and then put this over the top. It gives a lit-from-within-glow and I highly recommend it. Yes, up close you do twinkle but what's wrong with that? I'll definitely repurchase. Rated 5 out of 5 by maggy76 from Best purchase I am very happy with the powder,it gives me a nice look. Rated 4 out of 5 by Anonymous from Doesn't love up to expectations! It's a good little illuminator but does not give an airbrushed look as it states in the blurb.... I was too hopeful!